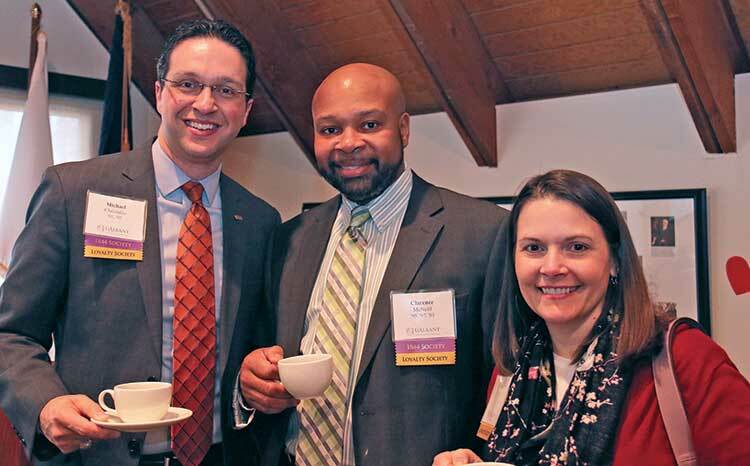 Left to right, Vice President for Student Affairs Michael Christakis ’01, ’05; Clarence McNeill ’95, ’97, ’03; and Cynthia Riggi ’02 smile for the camera. On Feb. 14, 2017 – Valentine’s Day – the University’s interim president, James Stellar, hosted a coffee reception at the Alumni House to express UAlbany’s appreciation for its faculty and staff donors. 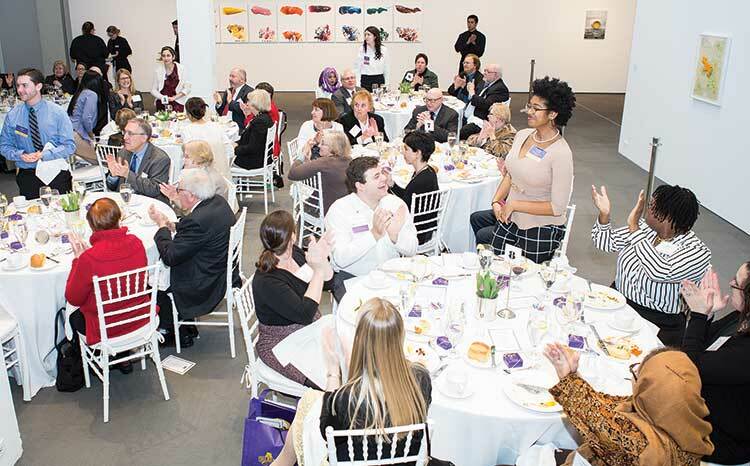 Each year, hundreds of the University’s own go above and beyond their daily duties – and demonstrate their commitment to philanthropy – by contributing to the UAlbany Fund, which supports students. The University Art Museum was transformed into an elegant dinner space for the Celebration of Scholarships dinner held March 9, 2017. Donors were seated with their respective scholarship recipients so that they could learn how their generosity impacts UAlbany students. 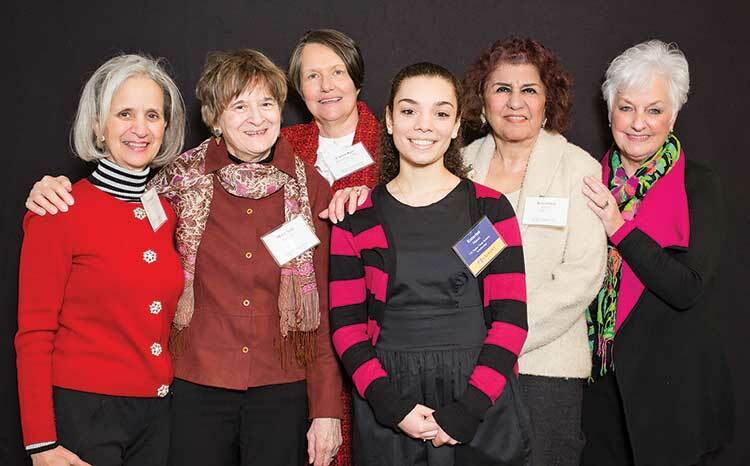 Chi Sigma Theta Sorority Scholarship recipient Katarina Manzi, fourth from left, gathers for a souvenir photo with scholarship supporters, pictured from left, Stephanie Bollam ’67; Mary Kay Sawyer ’67; Kay Hotaling ’67, ’70; Rosemarie Rosen ’68, ’73; and Ann Fairbank ’67, ’71. 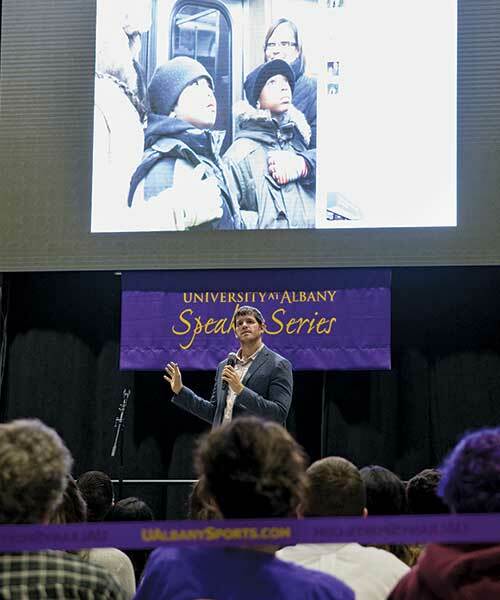 The first of two University at Albany Speaker Series events within the 2016-17 academic year featured Brandon Stanton, creator of the popular online photojournalism series Humans of New York. On Oct. 8, 2016, in conjunction with Homecoming Weekend, more than 1,500 students, families, and alumni were treated to vignettes about Stanton’s career as a former bonds trader turned photojournalist. More than 400 guests attended The University at Albany Foundation’s 37th Annual Citizen Laureate Awards Dinner Oct. 27, 2016, at SEFCU Arena. Gross proceeds for the event, which supports student scholarships, exceeded $220,000. 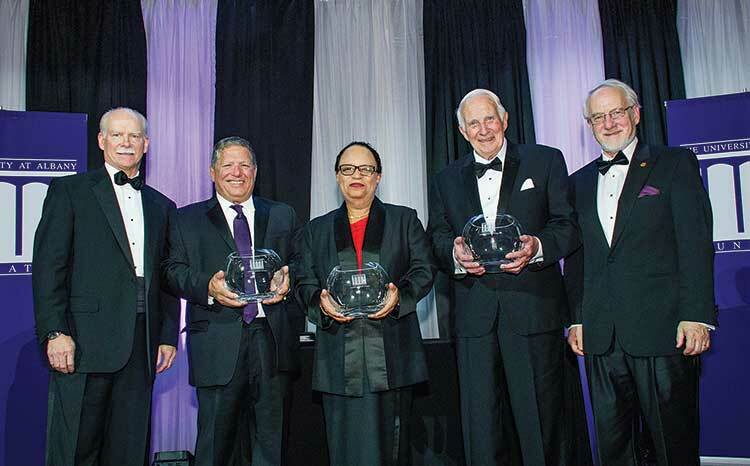 Posing for a photo, left to right, are University at Albany Foundation President George R. Hearst III; Community Laureate Angelo Mazzone; Academic Laureate Shirley Ann Jackson, Ph.D.; Community Laureate Walter L. Robb; and UAlbany Interim President James R. Stellar. 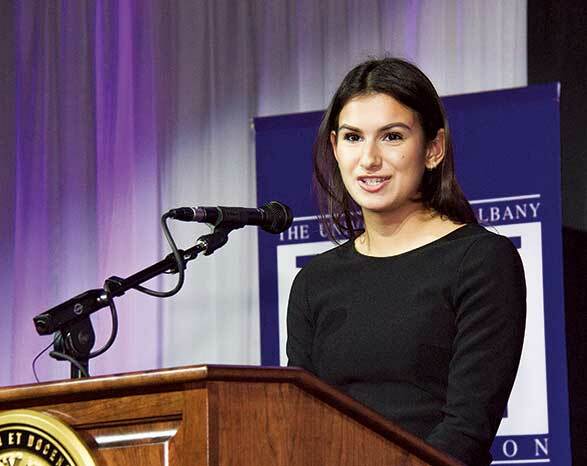 Victoria Mansa, recipient of the Delta Sigma Pi Golf Open Scholarship, spoke to guests about the ways her scholarship – and their support – have impacted her academic career at UAlbany. 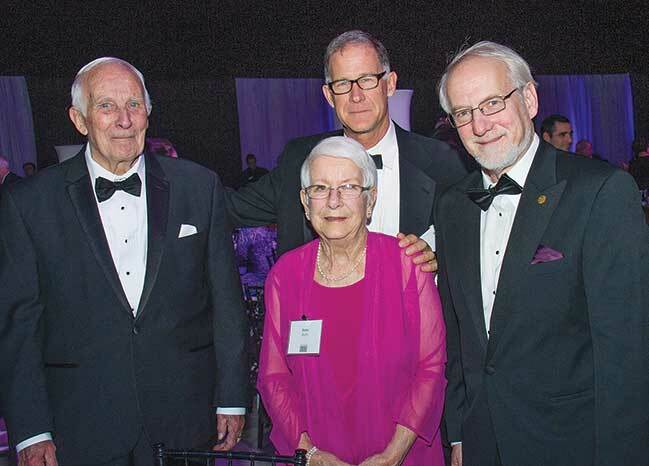 Longtime UAlbany supporter Walter Robb poses with his wife, Anne; son, Rich; and Stellar. Robb received a standing ovation for his thoughtful remarks about love and life.